The Algarve is the southernmost region of Portugal. It has an area of about 5000 sq km, being 150 km long and 50 km wide. Its natural borders are the Atlantic in the west and south, the river Guadiana in the extreme east, separating it from Spain, and a series of mountain ranges in the north, dividing it from the rest of Portugal. 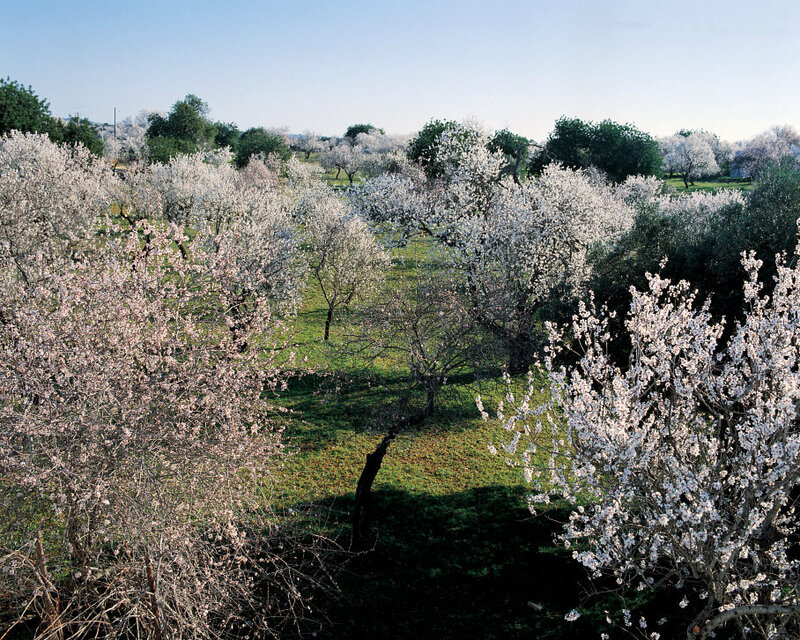 It is possible to divide the Algarve from east to west and from south to north. To the east of Faro the coast is low, with a large wetland area, consisting of lagoons and a string of barrier islands, which protect the coast from the storms. 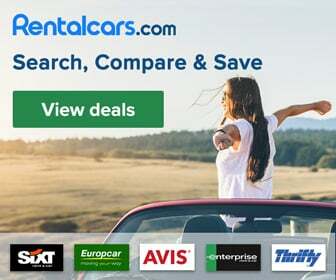 There are magnificent long sandy beaches, both on the islands from Faro to Tavira and to Monte Gordo, where you can find the longest beaches of the Algarve. These beaches are excellent not only for bathing, but also to take long walks. To the west of Faro, there are high sand cliffs and rock formations, grottoes and beautiful beaches protected by rock formations. With few exceptions, tourism developed in only one third of the Algarve coast, mostly from Faro to Lagos. 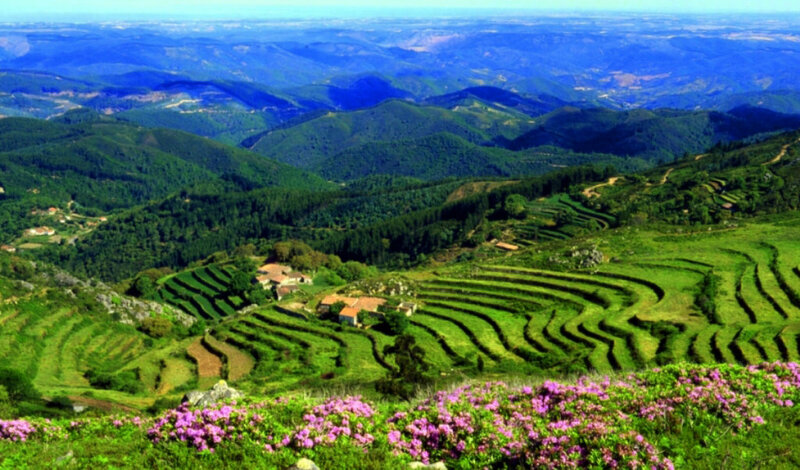 Dividing the Algarve from south to north, we can consider three different parts: coast, barrocal and mountains. The barrocal or central Algarve corresponds to the area between the south coast and the mountains and consists of plains and hills, which are formed by clay and limestone (barro+cal=clay+lime). In this area, you will find some agriculture. There are orange trees, fig trees, almond trees, carob trees and olive trees, as well as greenhouses for the production of strawberries, melons, tomatoes and vegetables. There is a typical Mediterranean scrub vegetation of holly oaks, rock roses, rosemary, thyme, lavender and other shrubs. 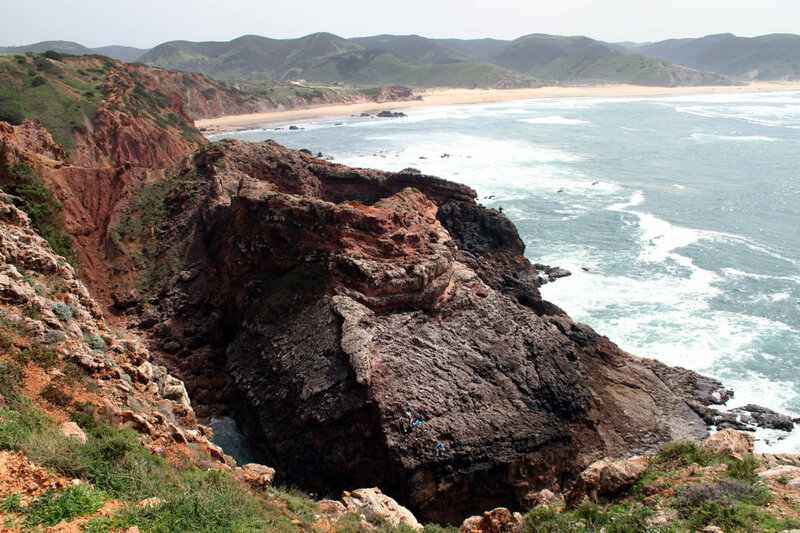 The northern Algarve is formed by several mountain ranges, which represent almost 80% of the area of the Algarve. On the Monchique mountain we have the highest point of the Algarve: ‘Foia’, which is 902 metres high. This volcanic mountain consists of granite and schist. Due to the fertile soil and a humid micro-climate, there is a great variety of vegetation, such as mimosa trees, pine trees, eucalyptus, cork trees, orange trees and a scrub vegetation. The mountain of Caldeirão consists of schist, on which grow especially cork trees, green oaks and the typical Mediterranean scrub vegetation. This unspoiled area has the lowest population density of the Algarve and represents a completely different world, where old traditions that can hardly be found anywhere else are still preserved. This is a world that you can discover during your holiday. 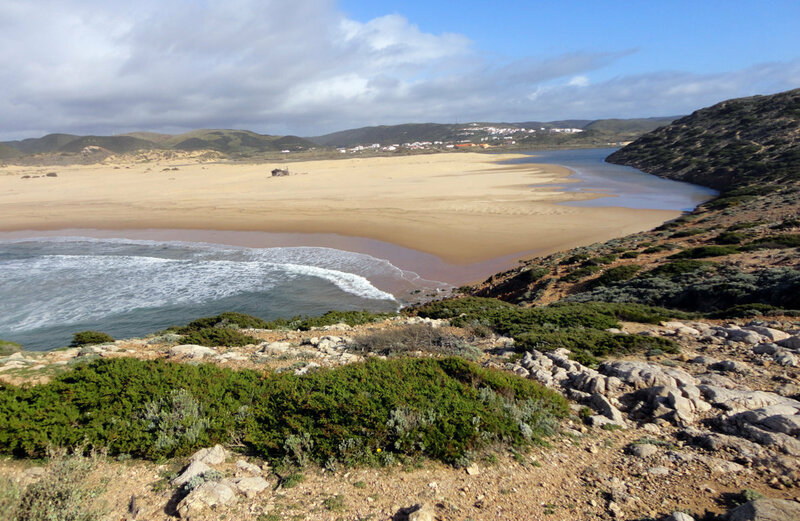 Just to finish, we would like to mention the wild beauty of the unspoiled west coast of the Algarve from Sagres to Odeceixe. If you like nature and the variety of its forms, you should explore this marvelous wild coast.